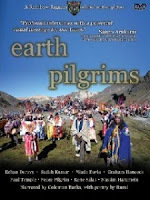 Earth Pilgrims, the new spiritual adventure documentary film, featuring Echan Deravy, Satish Kumar, Graham Hancock, Wade Davis, Nassim Haramein, Coleman Barks & Rumi is about pilgrims, the pilgrim message, and the pilgrim spirit, and how these will carry us through our unfolding evolution. From a world swamped in problems, in a global civilization on its last march towards the edge of the cliff, how can we reconnect with a deeper, more meaningful way of life? How can we make a difference? What happens when 60,000 Quechua Indians gather to give thanks to the vital life force that sustains them? What can we learn from those who put harmony and balance before gain? 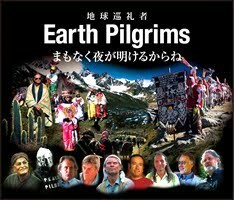 What is an Earth Pilgrim? Every person has an image of a pilgrim. In Japan it is probably the image of the ohenrosan in Shikoku. This movie was conceived while the director was actually walking the roads of Shikoku on that pilgrimage. But this is not a movie about that kind of pilgrim. 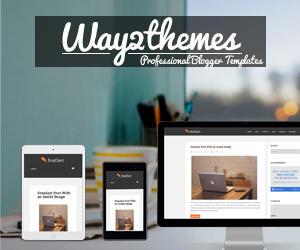 It is a message about the deeper meaning of being a pilgrim in the modern world. It is about the great dangers our planet is now facing and about how the pilgrim spirit can help us all. The film follows director Echan Deravy as he travels in search of the meaning of Earth Pilgrim-a new kind of pilgrim, a pilgrim that we can all become in our hearts. The film was shot on location in Britain, Japan, Israel, the US and Peru as well as Hawaii. It is a documentary which includes the wise advice of several leading thinkers and an astonishing older woman. It is not about saving the world it is about how we change our way of being in the world. We do that by becoming a new kind of human that Echan calls Earth Pilgrims. It is an internationally released 90 min film available on DVD from 23 July, 2009 in English, and later in Spanish and other languages. In my culture, the Celtic culture of Scotland and Ireland we have the story of King Arthur and his knights of the round table. They had to go on a quest to find the Holy Grail. The Holy Grail is a symbol of higher understanding. In this movie I go in search of a higher understanding by asking people as I travel on a world pilgrimage to give me advice. I meet people in very different fields such as anthropology, ecology, shamanism, physics and plant healing. I do two major pilgrimages. One in Shikoku was 1300km and the one in Peru was not long at all. It was high. We climbed to 5 thousand meters in the Andes with 60,000 native people to film the Qoyllur Rit'i pilgrimage. Rumi, my favourite poet speaks to us throughout the movie to remind us of our spiritual life as pilgrims. The film is a quest to answer the riddle of our times. Why is the Earth falling apart? The answer lies in the heart of each person. Synchronicities ... Messages From The Invisible Universe !